It would be a sincere challenge to find anyone on this planet who isn’t at least vaguely familiar with the name Superman. From ‘it’s a bird, it’s a plane’ to the ‘S’ on his chest to the flowing red cape, he is the classic superhero and one of the most famous pop culture figures of all time. But Superman is much more than just a costume, collection of incredible abilities, and a design that can be put on a T-shirt. The last 75 years have been filled with epic stories, hundreds (if not thousands) of friends and foes, and microscopic details about the larger universe. It’s easy to see how anyone only vaguely familiar with the comic book character and his world would feel overwhelmed by the amount of information surrounding him, so with Man of Steel in theaters this weekend we figured we would do our best to help those who just need a little bit of guidance. Below I have broken down 10 key elements of Superman lore present in Zack Snyder’s new film, hoping to provide some background for the audience members who are only now starting to take an interest in the comic book world. Want to know about Supes’ birth parents? Do you know how he gets his powers? Do you know who Superman’s first love was? Find all of the answers you’re looking for below! Who Is He? Kal-El. Clark Kent. The Man of Steel. The Man of Tomorrow. The Last Son of Krypton. He has many names, but there is only one Superman. Created by writer Jerry Siegel and artist Joe Shuster and first debuting all the way back in 1938, Supes is considered by many to be the first superhero and is in every way, shape and form a cultural icon. Chances are you’ve probably heard of him before you clicked this link. How Does He Fit? It’s kind of a silly question considering that this is his movie, but let’s just stick with the format, shall we? Man of Steel is a new take on the origins of Superman, balancing a story both about how he came to travel from the alien planet Krypton to Earth and how he grew up to become the greatest hero the world has ever seen. Even long-time comic book fans will be surprised by some of the changes that they’ve made to the story, but those details are best revealed on a giant screen in a dark theater. Who Are They? Being an alien who was transported to Earth as a baby, Superman has two sets of parents: those who gave birth to him and those who raised him. Jor-El and Lara Lor-Van are the former. Unfortunately, this also means that their story is actually a fairly tragic one. Both were some of the smartest minds their world had to offer, but despite their assertion that the planet of Krypton was doomed nobody listened. With no time to leave themselves, they ultimately make the decision to save the life of their son, Kal-El, and die with the rest of their species on their home world. Marlon Brando famously played the role of Jor-El in Richard Donner’s 1978 film Superman: The Movie. How Do They Fit? Lara, played by Ayelet Zurer, plays a fairly small role in Man of Steel, but Russell Crowe’s Jor-El is one of the most significant characters in the film. While his physical form is destroyed when Krypton collapses, part of him lives on in a command key that was put in young Kal-El’s ship before it was sent into the cosmos. The technology is used to help a confused Clark Kent both understand who he is and what he has the potential to become. Both parents saw their son’s potential to be a savoir for the people of Earth – a hero who could lead humanity into the light. Who Are They? Jonathan and Martha Kent were lovely people leading normal lives in the rural town of Smallville, Kansas when they one day discovered a crashed spaceship with a human-looking alien baby inside. Wanting to have a kid of their own and wishing no harm upon the child, they chose to adopt him and raise him as their son, keeping his real identity a secret until they believe that he is old enough to handle the truth. How Do They Fit? One of the principal themes of Man of Steel is the idea of nature vs. nurture and the two different philosophies held by Kal-El/Clark’s two sets of parents. While Jor-El believed that his son’s powers would lead him to be an important figure in the future of humanity, Jonathan and Martha (portrayed by Kevin Costner and Diane Lane) are scared about what it would mean for their boy to reveal to the world that he’s actually an alien with supernatural abilities. It’s certainly a conflict-filled moral dilemma, but it was also Clark’s Earth parents that taught him what it meant to be a good person, and helped built the emotional foundation for his future heroics. What Are They? You wouldn’t think that the color of a sun would have that much effect on how an organism exists and functions, but then again Superman isn’t most organisms. Had the intergalactic hero stayed on his home planet (and the place didn’t implode) he likely would have had a normal existence, but instead Earth’s yellow sun has a massive effect on his body chemistry and gives him abilities that no other being possesses. Basically, it’s the yellow sun that makes Superman able to be Superman. How Do They Fit? On Earth Kal-El has a nearly unending number of powers if you dig through all of his pop culture lore, but it’s pretty much only the most common and famous examples that actually show up in Zack Snyder’s movie. In the movie he is shown to be able to fly, run at super speed, lift incredibly heavy objects, punch extremely hard, see through solid objects and shoot lasers out of his eyes. Oh, and did we mention that he is basically invulnerable? The yellow sun does initially give adolescent Clark some problems, as he perceives and feels the entire world differently than humans, but that’s all part of his growing process. How Do They Fit? Played by Michael Shannon and Antje Traue, Zod and Faora go through the classic rebellion/banishment arc, but really start causing serious trouble when they manage to escape their imprisonment and head to Earth to try and find Kal-El. Because they were also born on Krypton, they get the same yellow-sun enhanced powers as Superman, making them both by far some of the most powerful villains that the hero will ever have to face. Who Is She? Lois Lane was present right at the birth of Superman, appearing in Action Comics #1, and is probably best known for being Clark Kent’s true love. 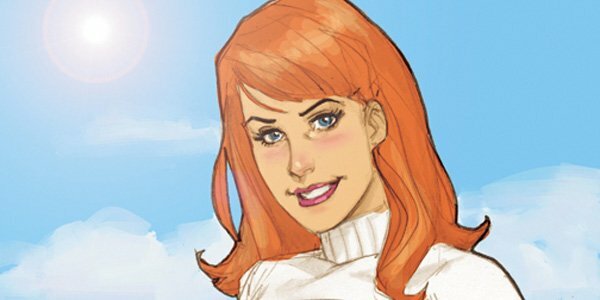 Initially inspired by famed journalist Nellie Bly, Lois is a reporter for Metropolis’ prestigious newspaper The Daily Planet, and an excellent one at that. Previous live action films and television series have seen her played by actresses including Margot Kidder (Superman: The Movie through Superman IV: The Quest for Peace), Kate Bosworth(Superman Returns), Teri Hatcher (Lois & Clark), and Erica Durance (Smallville). How Does She Fit? Amy Adams’ take on Lois Lane doesn’t stray too far from the comics, as she is still very much that hard-nosed reporter who refuses to take no for an answer (though she has traded her normal brunette locks and gone redhead). Upon hearing about the heroics of a mystery man saving lives all around the globe, she goes on a fact finding mission to interview witnesses and survivors – but little does she know that she’s actually on the tail of a hero who is much more than your everyday good Samaritan. Who Are They? Clark Kent and Lois Lane may be the best known reporters at The Daily Planet, but they aren’t the only major characters in the Superman universe who works there. Working above both of the writers is the paper’s editor in chief Perry White, a boss known for being tough but fair and possessing solid journalistic integrity. Then there’s Jimmy Olsen, a young photojournalist who is close friends with Clark, Lois and Perry, and also sees them as role models. Unluckily he often finds himself stuck in dangerous situations that require him to be rescued by the Big Blue Boy Scout. How Do They Fit? Of all the classic Superman elements in Man of Steel, it’s actually The Daily Planet crew that gets the biggest facelift. 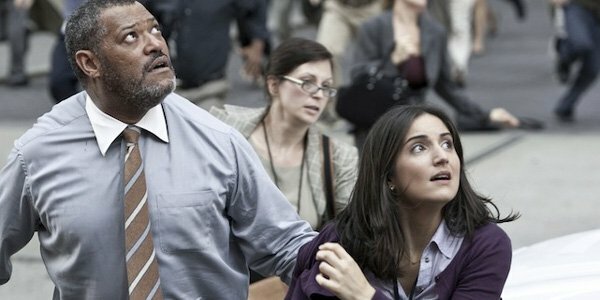 While Perry White has always been drawn as a white guy, in Zack Snyder’s film he is portrayed by Laurence Fishburne, and while it’s possible that Jimmy Olsen could show up in the movie universe at some point, the latest blockbuster only features a newspaper employee named Jenny Olsen, played by actress Rebecca Buller. Beyond these superficial changes Snyder’s Superman story doesn’t alter much about the characters – though they are a pretty small part of the overall plot. What Is It? 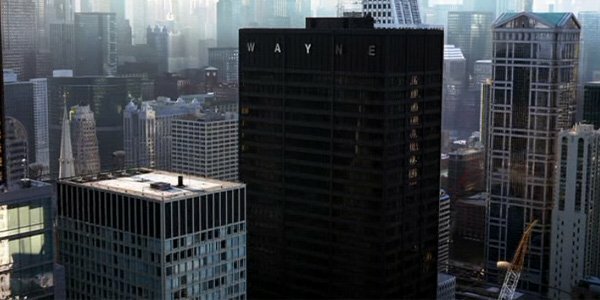 Rather than being a part of Superman’s world, Wayne Enterprises is actually part of Batman lore. The company is owned by Bruce Wayne and has existed for multiple generations. In addition to the business generating money so the Dark Knight can have cooler and fancier toys, Bruce also partially uses his position at Wayne Enterprises as a cover to hide the fact that he is actually the Caped Crusader. It’s actually pretty damn effective. What Is It? Similar to the way that Bruce Wayne uses his position at Wayne Enterprises to become a better crime-fighter, Lex Luthor – Superman’s greatest foe – uses his company, LexCorp, to ascend in the world of evil. Few are able to gain and exploit power quite like Luthor can, and his conglomerate is certainly a big part of that. If there’s a plot line involving a contract with LexCorp then you can presume that trouble is right around the corner. How Does It Fit? 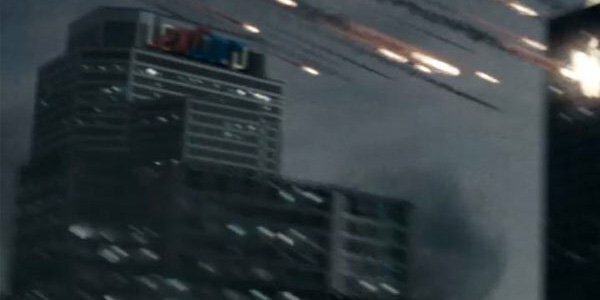 Superman’s arch-nemesis doesn’t actually appear in Man of Steel, but the existence of LexCorp looms in the background like a bad omen. We first discovered that the evil corporation is in the movie when we pulled a bunch of screengrabs from a trailer back in April, but the truth is that there are actually three total references to the company in the film. Like with Wayne Enterprises I’d prefer not to give the locations away, but know that Luthor seems to have a thing for putting his name on vehicles. Who Is She? Lois Lane may be Clark Kent’s true love, but his first love was actually someone else with L.L initials (no, not Lex Luthor). Lana Lang grew up with Clark in Kansas and was his teenage girlfriend. Because she was a part of our hero’s life before he put on the red and blue tights, she has never been a major player in the previous Superman movies, but she was a key character, played by Kristin Kreuk, on the long-running series Smallville. How Does She Fit? Lana Lang fans will be disappointed yet again with Hollywood, as the character really doesn’t play a very big role in Man of Steel. But, as you probably figured out because I’m writing about her, she does make an appearance. Played by young actress Jadin Gould, she is featured in a flashback with an ill-fated school bus. Listen for her name.